FRESNO, Calif. (AP) — Devontae Booker ran for 156 yards and two touchdowns and No. 21 Utah had two scores on special teams and one on defense in a 45-24 victory over Fresno State on Saturday night. Backup quarterback Kendal Thompson, making his first start of the season for the Utes as Travis Wilson sat out with an injured left shoulder, completed 19 of 25 passes for 159 yards and one touchdown. Booker set the tone early against Fresno State, which initially recruited him out of high school but later pulled its scholarship offer. The senior running back ran 10 times on Utah’s opening drive, which was capped by Andy Phillips’ 33-yard field goal that tied the score 3-3 with 4:14 left in the first quarter. Utah defensive tackle Stevie Tu’ikolovatu recovered a fumble by Fresno State quarterback Chason Virgil on a sack and returned it 37 yards for a touchdown to put the Utes (3-0) up 10-3 less than two minutes later..
Booker’s 30-yard touchdown run made it 17-3 late in the second quarter and he added a 7-yard scoring run for a 21-point lead midway through the third. After Fresno State (1-2) pulled to 24-10 on Zack Greenlee’s 5-yard pass to Josiah Blandin early in the fourth, Cory Butler-Bird returned the ensuing kickoff 98 yards for a touchdown. 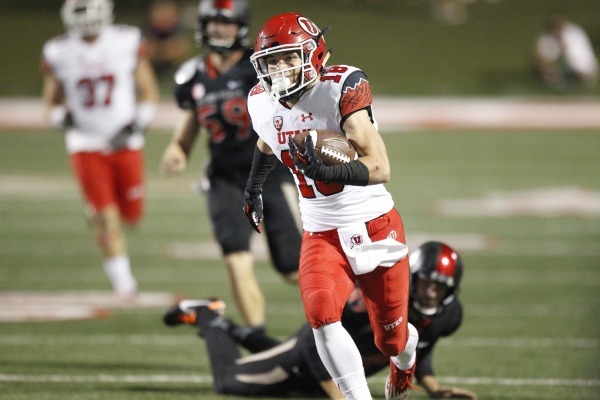 Following the Bulldogs’ next possession, Utah’s Britain Covey scored on a 77-yard punt return to make it 38-10 with about 9 minutes remaining. 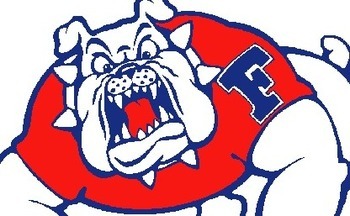 Fresno State got off to a good start, though, as DaMari Scott knocked the ball loose from Utes returner Tyson Cisrow on the opening kickoff and Bulldogs teammate George Helmuth recovered at the Utah 17. With Virgil – a true freshman, making his first college start, the Bulldogs went three-and-out and settled for Kody Kroening’s 35-yard field goal. It was Fresno State’s first lead against a power-five conference team since the 2013 season opener. Virgil completed 11 of 25 passes for 97 yards and no turnovers before leaving the game with an undisclosed injury early in the fourth quarter. Greenlee came in and finished the series with the touchdown pass to Blandin. Greenlee added scoring passes of 82 and 32 yards about a minute apart midway through the fourth quarter pulled the Bulldogs to 38-24. However, that was as close as they got. Thompson’s 5-yard touchdown pass to Harrison Handley with 14 seconds left closed the scoring.